Not long from now you’ll be donning your glad rags to celebrate all things Forever Manchester. Here are a few helpful bits of information to make your night run smoothly. The dress code is smart casual (take a look at the photos from last year if you need some sartorial inspiration). The Principal Manchester (formerly The Palace Hotel) is situated directly opposite Oxford Road Station, is within walking distance of Piccadilly Station and St Peter’s Square tram station and is just a short journey from Manchester International Airport. Download direct train routes into Oxford Road Station. 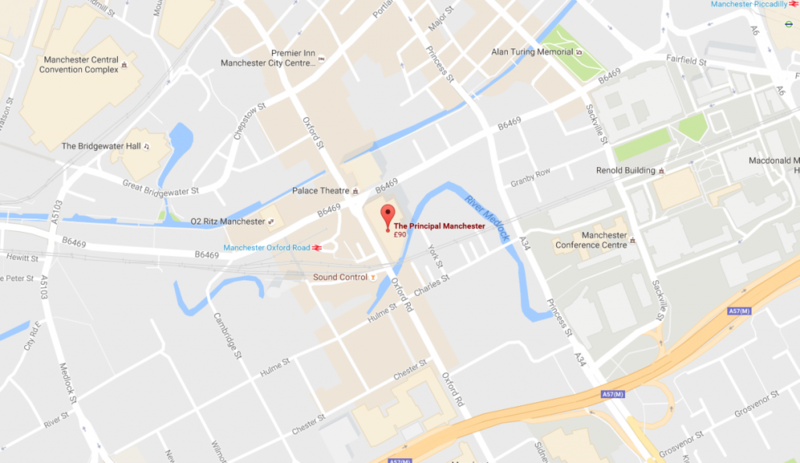 The Principal Manchester does not have its own car park however parking is available at the NCP Manchester Car Park on Whitworth Street, a short walk from the hotel, at a reduced rate for 24 hours/overnight car parking of £15. This is payable locally at the hotel. Valet parking is also available at only £25 for 24 hours, to book please call The Principal Manchester’s concierge on 0161 288 1111. Oxford Road Bus stop is directly outside of the hotel and serves destinations across the Greater Manchester area. You will also find bus stops on Whitworth Street. As part of the night’s entertainments, we will be drawing the first ever Captain Manchester’s Magical Tombola. 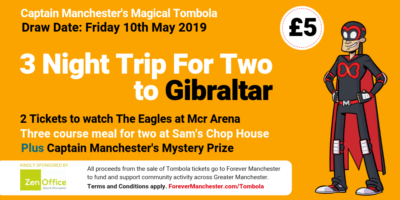 If you wish to enter the Tombola and help raise money to fund and support community activity in Greater Manchester (and get a chance to win that trip to Iceland! ), please be advised that this will be cash only on the night. See you on Friday for our unrivalled celebration of community! Read more about the Birthday Party here.